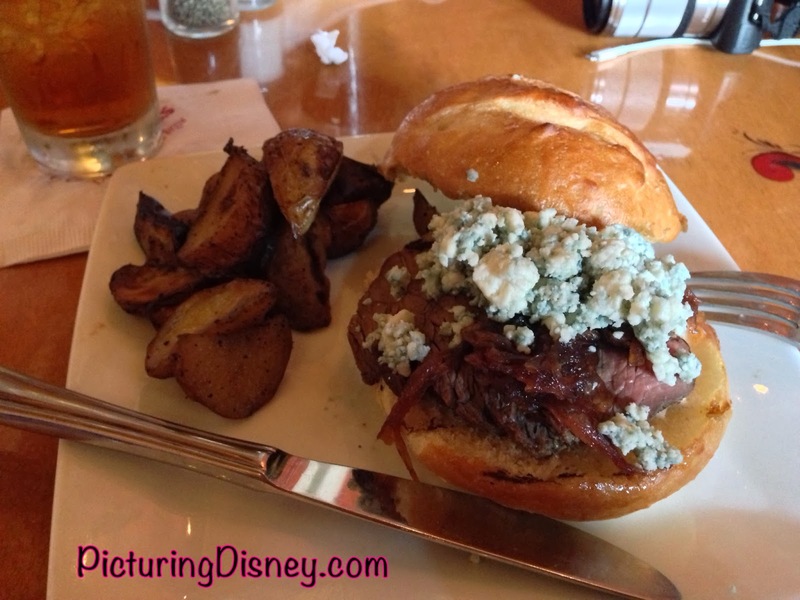 Picturing Disney: Akershus Royal Banquet Hall: A Meal Fit for a Princess! Akershus Royal Banquet Hall: A Meal Fit for a Princess! 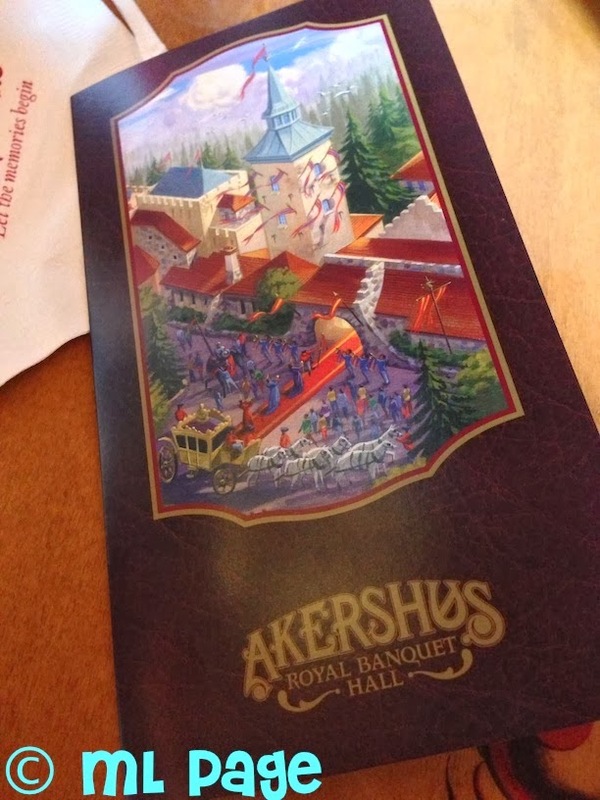 Akershus Royal Banquet Hall was the site of my first dinner at a Disney restaurant in 2006. My most recent visit to Akershus Royal Banquet Hall was for lunch. I experienced wonderful character interaction, great servers, and delightful food. I highly recommend this character meal to princess lovers. You will meet Belle for a photo op and the other princesses as you dine (Snow White, Jasmine, Ariel, Sleeping Beauty, Cinderella) The keepsake photo is a favorite of mine. Breakfast is the normal Disney breakfast fare, a mixture of cold and hot foods. Lunch and Dinner both start with the "Taste of Norway" buffet appetizer with cheeses, fish, and other salads to nosh on. For dinner I had Beef Tips which were served in a mushroom sauce and it seems an improved version is still on the menu. This was tasty but my lunch was much better: a sirloin sandwich with wild mushroom ragout and jarlsberg cheese served on a warm bun with roasted potato wedges. This was delicious and my favorite meal the trip. The meals here are pricey but not as steep as Cinderella's Royal Table. I enjoyed Akershus enough to say if you do not get the coveted Cinderella's Royal Table reservation you will be pleased with the princess interaction here.